Guest Post by Stephen Christopher Liu. Twenty-five years ago, when Susan Shinagawa was 34, she found a prominent and painful lump in her breast. 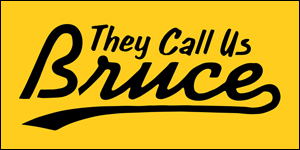 Yet, the surgical oncologist denied her biopsy request, and informed her: "Susan, you’re too young to have breast cancer. You have no family history of cancer. Besides, Asian women don’t get breast cancer." But she wasn't deterred. Susan sought out a second opinion, and after undergoing a surgical biopsy, she was diagnosed with infiltrating breast cancer. Susan is a three-time breast cancer survivor, and today, she is the leading activist in advocating breast cancer awareness for Asian women. Thirteen years after Susan's difficulty getting diagnosed, the same story repeated itself with my own mother. She was diagnosed with Stage 1 breast cancer only after three years of mammograms with "dense breast" disclaimers and a third doctor's opinion. She was extremely lucky to have caught it just in time, and survived. According to Susan, there seems to be a recurring misconception among U.S. doctors that "Asian women don't get breast cancer," yet breast cancer is the most commonly diagnosed cancer among Asian females, and cancer in general is the leading cause of death for female Asian Americans. Of all the ethnic groups, Asian women in the U.S. are the least likely to get tested, but if they have lived in the country for more than a decade, their chances of getting breast cancer increase by 80%. Furthermore, even when Asian women do get tested, they tend to have "dense breasts" like my mother, which produce up to a 60% error rate in mammograms. 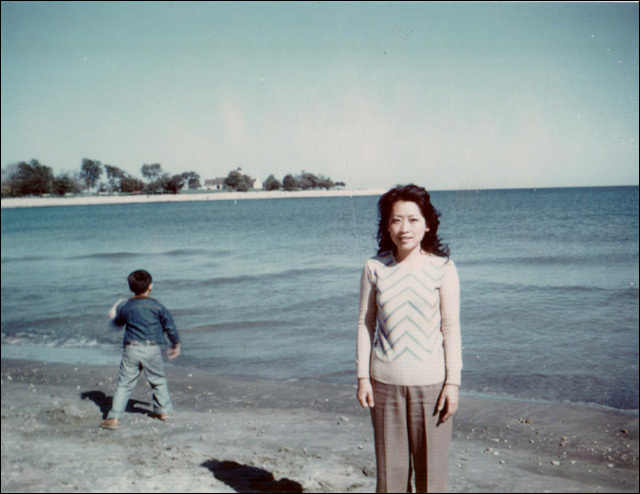 So if my own "highly proactive" mother had difficulties getting diagnosed after being in this country for more than 50 years with PPO insurance, how would a newer immigrant from Asia fare, navigating the U.S. healthcare system, with limited English skills and a cultural bias not to question their doctors? That's why we created the National Asian Breast Cancer Initiative (NABCI) to address these unique cultural, linguistic and biological challenges that Asian women face related to breast cancer. 1. Organize an annual national breast cancer awareness campaign targeting Asian women, especially immigrants, in the U.S. 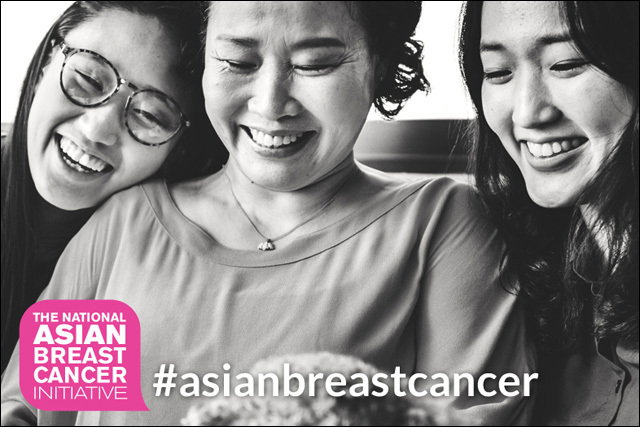 This October, NABCI is leading a national #asianbreastcancer social media campaign. With a reach of over 18M people, a diverse group of influencers including celebrities, such as Karrueche Tran, Kelly Hu, Ken Jeong, Megan Lee and Lisa Ling, as well as the White House Initiative on Asian Americans and Pacific Islanders, Angry Asian Man, Kore Asian Media, Destination Luxury, Mochi Magazine and Yomyomf, have agreed to support NABCI as "Advocates." A full list of NABCI advocates can be found here. 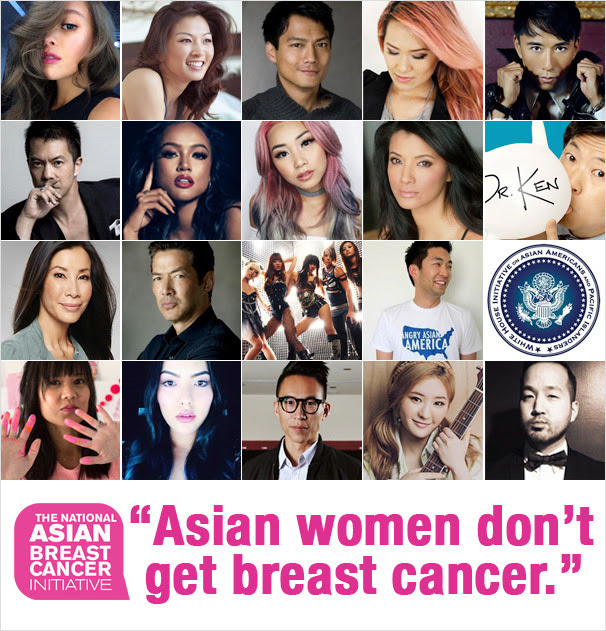 You can be an "Advocate" as well -- just simply make a post with the hashtag #asianbreastcancer during the first two weeks of October. 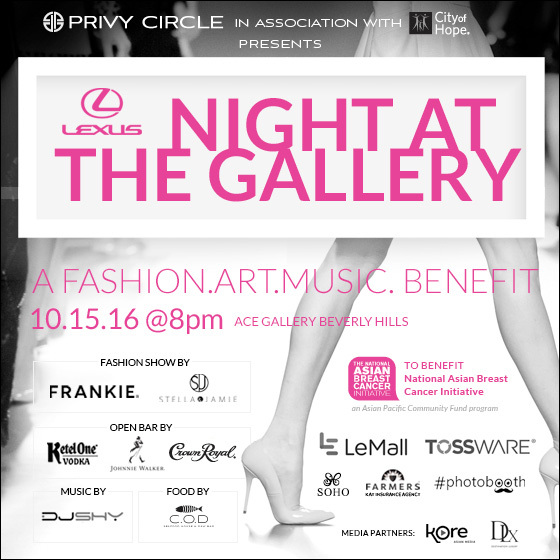 On October 15, 2016, Privy Circle, in association with the cancer research and treatment center City of Hope is holding the benefit, "Lexus Night at the Gallery" to raise awareness for Asian women and breast cancer. The benefit includes art, fashion and music, and will feature a runway fashion show by FRANKIE and Stella & Jamie, and musical performances by Broadway singers Welly Yang and Dina Morishita, and DJ Shy. Funds raised at the benefit will support NABCI and help build a multilingual resource, support and informational website. 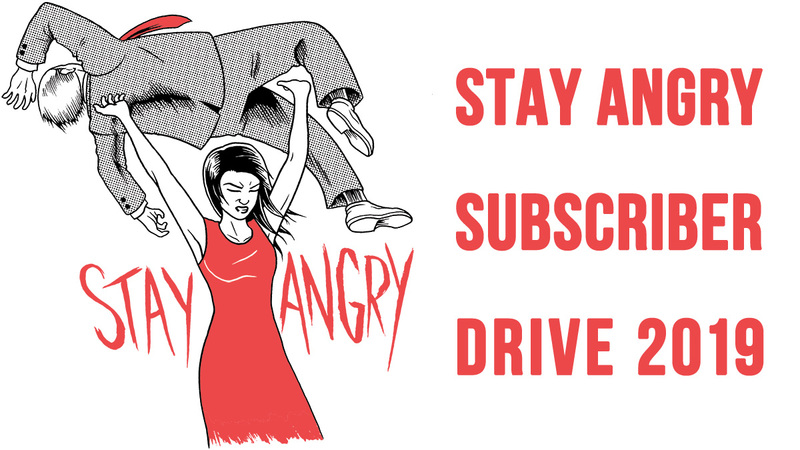 Angry Asian Man readers get 25% off tickets here. We hope you join us in our cause. Stephen Christopher Liu is the CEO of Privy Groupe which runs Privy Circle and Privy Date, a matchmaking app for Asian Americans. He is also the Founder of the Asian Professional Exchange (APEX).